Bodice is enhanced in red velvet embellished in zardosi embroidery. 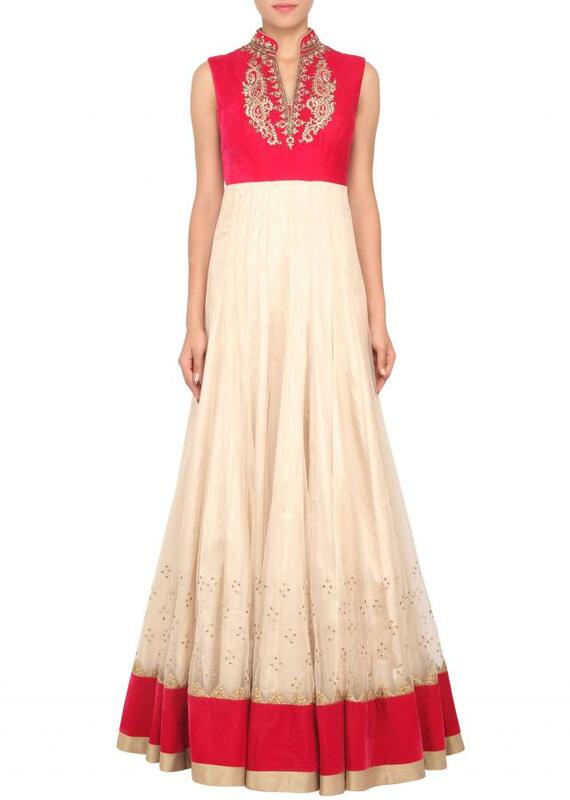 Its matched with cream silk jacket embroidered in zari and kundan. 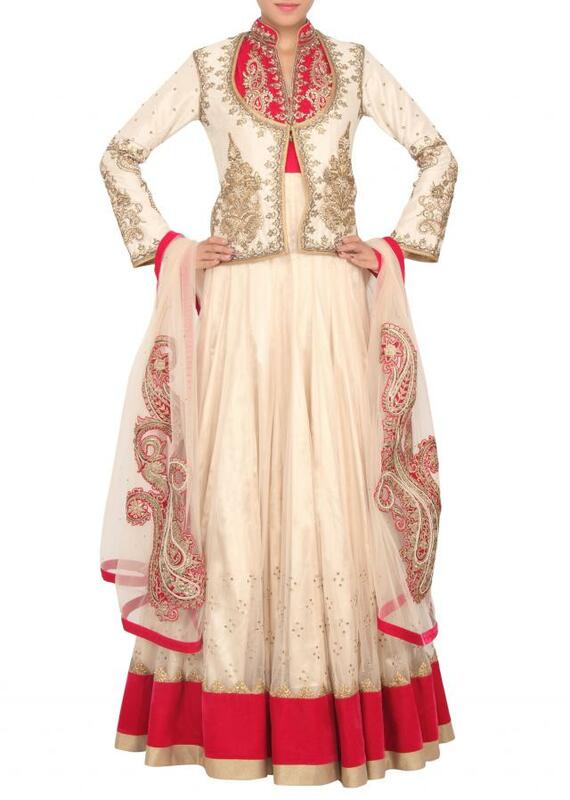 Dupatta is in beige net with paisley motif embroidery.